Mercedes-Benz will launch the all-new SL-Class Roadster this June in the UK. Two versions will initially be available, the entry level SL 350 which will start at £72,495 while the SL 500 will start at £83,445. Later in the year, the AMG induced models (SL 63 / SL 65) will launch in the market, but pricing is yet to be announced. The cheaper SL 350 comes with a 3.5-liter V6 that generates 302 bhp (225 kW / 306 PS) and enables the model to accelerate from 0-100 km/h (0-62 mph) in 5.9 seconds. The twin-turbo 4.7-liter V8 offered in the SL 500 version makes 429 bhp (320 kW / 435 PS) giving it a 0-100 km/h time of just 4.6 seconds. Both versions can reach an electronically limited top speed of 155mh (250kph). 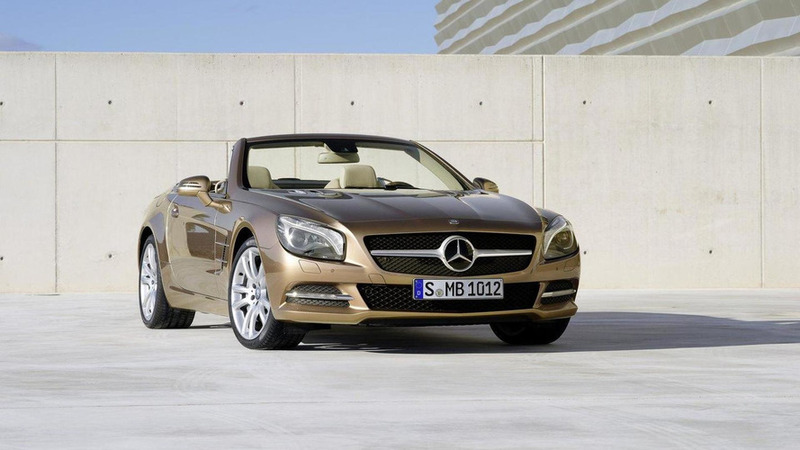 For a full report on the new 2013 Mercedes SL-Class, click here.